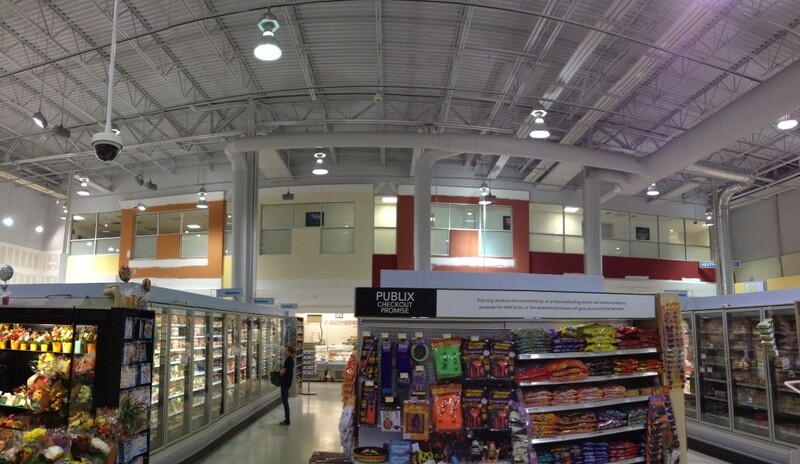 We installed a frosted privacy film at this grocery store in St. Pete. The store wanted a more private area for their employee break room and offices. We were able to provide that by installing a frosted privacy film where they could see out, but customers couldn’t see in. Looks great! We fully guarantee complete satisfaction with our installations and offer a lifetime warranty on all of our residential window films. Precision Safety Films is based in Tampa Bay and offers a wide variety of window tinting and other services for both commercial and residential properties. We provide window film and tinting in Palm Harbor, Clearwater, St. Petersburg, Lutz, Brandon, Sarasota and New Port Richey.